The Star Hotshots scored a virtual repeat of their grind-out win in Game One, toiling all throughout and squeezing out a 91-89 decision over the Barangay Ginebra Kings in Game Two of their PBA Philippine Cup Final Four matchup at the MOA Arena in Pasay City Saturday night. Paul Lee reprised his role the last time out, making the baskets that mattered the most as the Hotshots marched to a 2-0 lead in the best-of-seven semis series. Allein Maliksi, Justin Melton and Marc Pingris contributed double-digit outputs while Rafi Reavis was a huge help with his hustle plays at endgame. Lee made it 89-85 on a key basket on transition play with 58.4 seconds to go. At 89-87 with 10 seconds left, the Hotshots secured an eighth straight win from the elimination round as Reavis tended the offensive board following a missed jumper by Lee. “It’s about heart, desire, effort and aggressiveness,” said Star coach Chito Victolero. 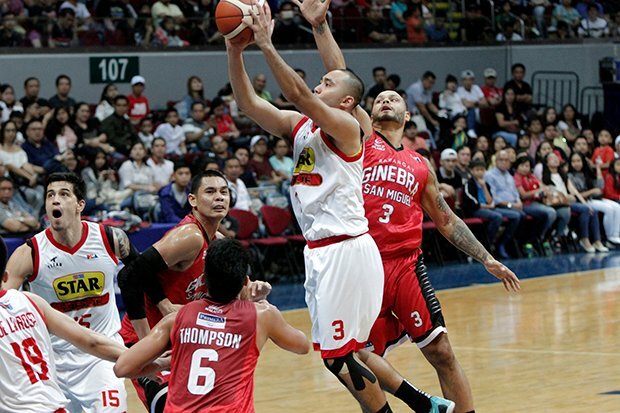 “We knew Ginebra would come out strong. We knew Ginebra won’t give up. But our guys also didn’t give up. They’re prepared physically and mentally,” Victolero added. Kevin Ferrer, Scottie Thompson and Japeth Aguilar all produced big numbers but the Kings failed to make the needed push at endgame and thus fell in a 2-0 hole. 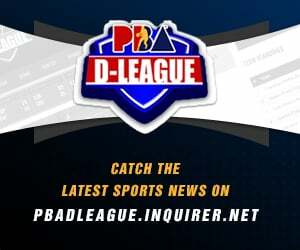 They’re back in a precarious position as they were at the start of the post-elims play, facing a win-twice disadvantage versus the second seeded Alaska Milk Aces. But even at 2-0 and on a scorching 8-0 run, the Hotshots are not about to count the Gin Kings out. “We’re happy to be 2-0. But we need to win four games to win this series. We know the character of Ginebra. We all know coach Tim Cone. We’ll continue to prepare hard,” said Victolero. The Hotshots were primed for battle Saturday night, taking command, 33-23, in the first half and holding on to make it two in a row versus the Kings. Lee top scored with 17 points, including eight in the final quarter. Maliksi added 14, Melton chipped in 11 while Pingris put in 10 markers, eight boards and five assists. WHERE ARE DANNY I & DANNY S?